“Go from Laminate to Granite in a Weekend!” Now you can put your signature on your kitchen with GIANI! 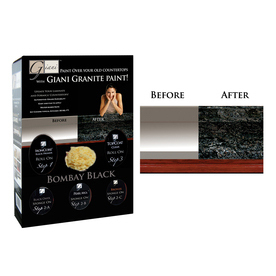 Introducing GIANI – the world’s first Italian granite paint kit that will quickly turn your old Formica and laminate countertops into the look of beautiful, cut granite! Stop in to see our samples and ideas. Click here to see our Pinterst page featuring GIANI before and after photos using GIANI, stone paints for your countertops. 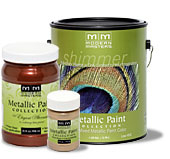 When it comes to choosing a metallic paint for a do-it-yourself project or high-end decorative finish, Modern Masters Metallic Paint has you covered! Finding a color that suits your project has never been easier. A wide variety of standard pre-mixed colors are available as well as our exclusive custom color matching service to the trade. All standard metallic colors are inter-mixable for creating one-of-a-kind custom colors and allowing for on-site color modification. A paint that is environmentally friendly and provides superior performance. Pure Performance contains zero VOC and emits very low odor.